With his good looks and attractive mid-tone voice, Yeo Jin-goo is a high school student of good quality. He's even started to be funny and he's back with a movie. Women are celebrating his comeback. Yeo Jin-goo's last movie was the 2013 "Hwayi : A Monster Boy". However, it hasn't been that long. He appeared in the tvN sitcom "Potato Star" and the short-lived movie "Mr. Perfect". He also attempted to dub the documentary film "Uigwe, the 8-Day Festival 3D" and made a cameo appearance in the movie "Tazza: The Hidden Card". Being a busy high school student, Yeo Jin-goo started to work on "Shoot Me in the Heart" which is an original based on writer Jeong Yoo-jeong's novel about two twenty-five year-olds who meet at a psychiatric ward challenge life with their youth. This novel sold 220 thousand copies and was awarded the 5th Worldwide Cultural Award. No actor could hastily agree to star in such a movie because they'd have to be really good but Yeo Jin-goo was brave. He knew it was going to be tough but he didn't want to miss his chance. He wanted many youths to get hope and courage through this and he himself learned a lot from it. "Many young people including myself are going through a hard time. We have to worry about going to college and the older ones have to worry about being employed. They are all in a position like Soo-myeong's. They are afraid to step into society. But I hope watching "Shoot Me in the Heart" will bring them courage and hope if not a great big change. Seung-min (Lee Min-ki) doesn't have friends but he has Soo-myeong (Yeo Jin-goo) by his side. The movie healed me a lot. I'm grateful for it and I'm sure many young people will relate". This is the value of Yeo Jin-goo who is incomparable to an adult. Every single one of his words meant something and it looks like he's perfect for "Shoot Me in the Heart". Who else would've been able to handle such a job? The movie and the actor are a perfect harmony. Yeo Jin-goo claimed he watched his movie in the theaters and smiled smugly. His maturity mostly had him cast in adult rated movies and he hasn't been able to watch one of them because of his age. Watching this movie with the staff and directors was one of the most nerve-breaking moments of his life. He only seemed like his age when he said that with every scene he felt like he could've done better. "I had difficulty understanding the character from the original novel. I read the novel after reading the script and I was obsessed with Soo-myeong. I can see myself more into Soo-myeong from the novel and that reflected in the movie. I think I can do better next time". He claims this role was more difficult to express than "Hwayi : A Monster Boy" which required much emotional expressions and action. He couldn't find anyone like Soo-myeong who is completely different from him and no one could help him either. It concerned him a lot. "He's the opposite of me. Hwayi : A Monster Boy had a lot to analyze but Soo-myeong was unreadable. I couldn't find anything on the Internet and no one could explain to me what kind of character he is. It was tough. I think that's why I relied more on the novel. It says more than the movie. I had to work on controlling the intensity of Soo-myeong's mental status. I am closer to Seung-min rather than Soo-myeong". 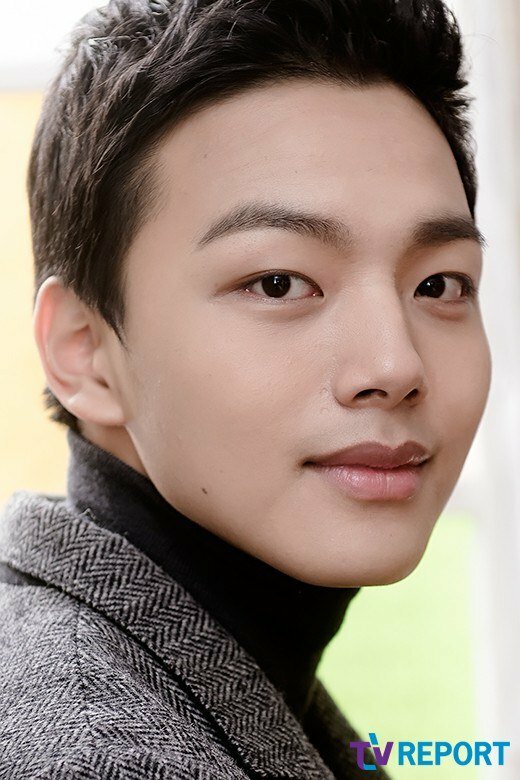 Yeo Jin-goo claims he was obsessed with the novel. He started to go on a diet for his character and managed himself strictly. "I was drawn to Soo-myeong's character at first and I didn't think about what was being seen but I couldn't ignore it. No one could be as healthy looking as me when they're suffering from mental issues. I ate chicken breasts with salads and worked out a little. However, my natural build didn't allow me to lose weight easily. I told myself I should have lost more weight and put on more sun-cream to make myself look pale". He swallowed at the thought of the chicken he was offered by the depressed janitor (Park Choong-sun). He claims he didn't wipe off the grease on his hands after eating the chicken. He's had a few 'risky' moments. Yeo Jin-goo also grew out his hair for the movie. It grew till his shoulders. Director Mun Je-yong claims Yeo Jin-goo looked almost innocent. "Innocence might be inside me if you look carefully but I think I looked more feminine than I wanted to be. I didn't think wearing a wig would look natural so I decided to grow my hair. It was a new experience". He talked about the bro-mance with Lee Min-ki who is actually twelve years older than him. He picked a classic scene and claimed it wasn't his thing. The profound romance that happened between two manly actors was too cheesy. "Some of the best lines we had are 'are you alright without me?' or 'I'm here'. We were stuck in a narrow corridor saying these lines and it was too much. Other lines meant something in the movie but the first line was really too much. We both were at lost of words while monitoring ourselves later. It seemed like the scene would become dangerous with Clazziquai's "She Is". If I was a girl it wouldn't have been that bad but at least it was successful". He also spoke about the touching moments; the sequence where the two of them tried to make a run. He even acquired a license in water leisure. "It was really fun. I felt good driving the boat. What's interesting is, the boat moves exactly the way you want it to. I started to enjoy the speed of the boat and the director was scared. He tried to get me to take off my shirt but I didn't think that would bring out the emotions so I said no. Of course, that's not the only reason; however, that was the biggest reason, cross my heart and hope to die". "[In-depth] Yeo Jin-goo, a nice high schooler"